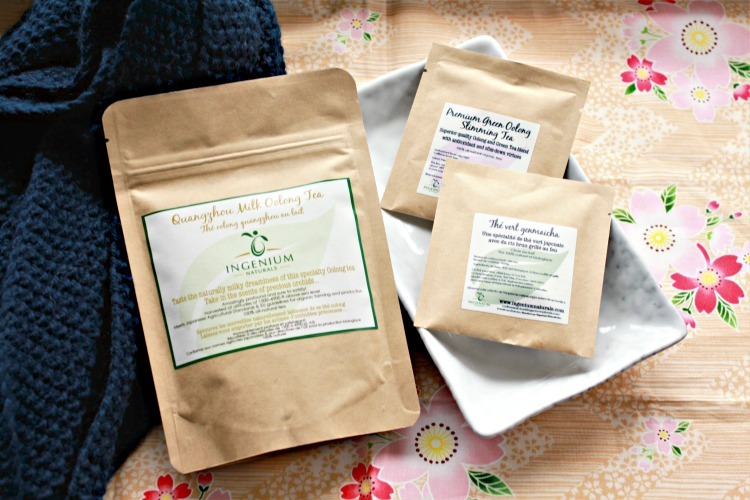 The trend towards multi-step, multi-product skincare routines has been all the rage among beauty aficionados for years. The idea behind this vigorous regime was pioneered in Korea and focuses on layering carefully applied, light layers of moisture so that all levels of the skin are hydrated and treated. This trend has since spread across Asia and to North America, but us North Americans, well, we're lazy. Not everyone has the time and patience to dedicate to a 7-10 step routine! I certainly don't, so I love it when I come across products that allow me to easily incorporate it without adding more time to my morning routine. Enter in the It's Skin Power 10 Formula GF Effector Essence. This lightweight gel ampoule style essence is part of a whole series of essence/serums targeted for different skin concerns. Designed by Korean skincare brand, It's Skin, the It's Skin Power 10 Formula GF Effector douses skin with immediate hydration and improves skin's ability to retain moisture with its special GF-Biopolymer and natural extracts. So just what's in this essence-style serum? The main ingredients are thankfully humectants, which help skin retain moisture (grifola frondosa mycelium ferment filtrate extract, glycerin, polyglutamic acid) and then texture enhancers, which help give this product its light, gel consistency (butylene glycol, dipropylene glycol. Although stores like Sephora have started carrying some Korean brands, most are still tricky to find and the Power 10 Formula GF Effector is no exception, but you can find it online at stores like Q Depot. Each 30 ml bottle sells for $16.20 USD/$21.27 CAD, which isn't too bad as far as specialty products like essence/serums go, and is akin to something you'd find in a drugstore here. 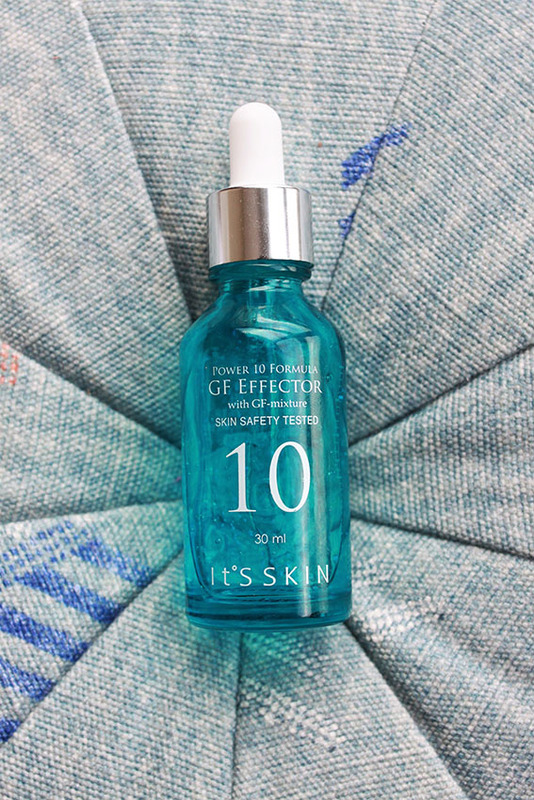 Like most serums, the Power 10 Formula GF Effector comes in a clear glass bottle with a medicine dropper dispenser. The dropper in the Power 10 Formula GF Effector is a bit odd in that it has this small bend to it right near the tip. I'm not sure the purpose of this bend at the end, as it makes it so you have to tilt the wand a bit to get it out of the bottle. The essence itself is a transparent watery gel, flecked with minuscule blue specks that match the color of the bottle. These presumably, are the ampoules that contain It's Skin's GF-Biopolymer. With its light texture, the Power 10 Formula GF Effector is perfect for morning use. I apply the Power 10 Formula GF Effector right after cleansing and toning, using 3 drops for my neck and 5 for my face. As opposed to spreading it between my palms and pressing it into my skin, as I would with an oil-based serum, I prefer to spread the Power 10 Formula GF Effector between my fingertips and then softly spreading it across my face. I feel this method works better so that I get more product distributed across my skin's surface as opposed to just being absorbed into my hands. It's Skin also suggests applying the Power 10 Formula GF Effector to a cotton pad as well. Now 8 drops per application may seem like a lot, and I've managed to use up half of the bottle already after a month, but this essence is so light, you really do need a substantial amount to see any effect. Immediately upon application, the Power 10 Formula GF Effector has a refreshing, cooling effect. You know how your face feels on a hot day when you splash it with some cold water? That's exactly how it feels to apply the Power 10 Formula GF Effector. I really feel like this essence does help invigorate and liven up my skin, which is particularly nice in the mornings. Now the cons. If you're looking for something heavy-duty and life-changing then the Power 10 Formula GF Effector definitely won't be enough. Although Q Depot lists this as a serum, on It's Skin it's officially listed as an essence and I would agree with that description. Serums are meant to penetrate your surface skin layers to deeply moisture and I don't get that feeling or see that type of effect from this product. Instead, I feel that the Power 10 Formula GF Effector is more suited to provide surface hydration and to prep the skin for your moisturizer. For those unfamiliar with essences, you could think of them as a stronger toner, or a super light moisturizer. Given these pros and cons, is the Power 10 Formula GF Effector worth it? I still think so. My skin has been really parched this winter and I do need that extra moisture layer day and night, so the Power 10 Formula GF Effector has been really helpful in helping my skin stay supple and flake-free. I like how the Power 10 Formula GF Effector is quite light compared to most serums, but is still able to get the job done. I'm tempted to see how this essence would layer with an additional serum, so I might try that next! One can never have enough hydration right?